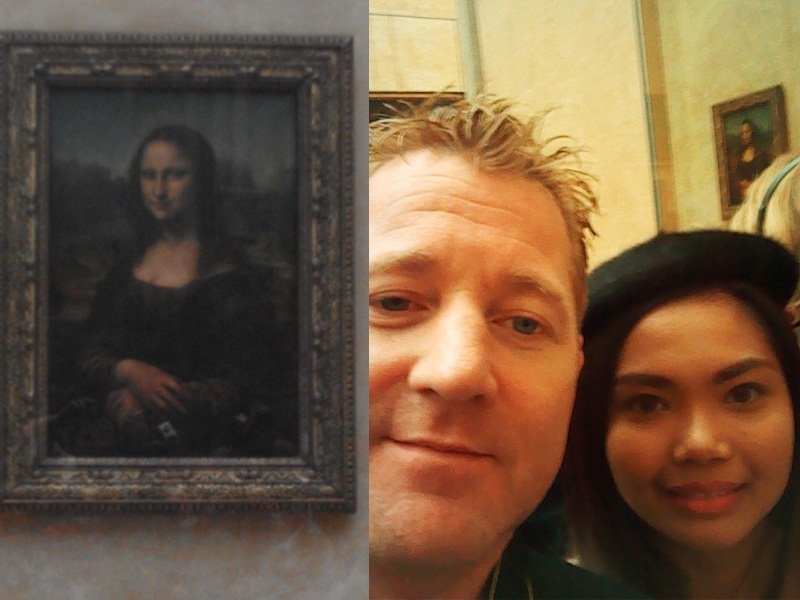 Our second day in Paris was spent visiting the city's top landmarks. But before heading to museums, art galleries and monuments, we had breakfast at a local brasserie. Dining al fresco, eating freshly baked croissants, sipping brewed coffee and people watching is a great way to kick off our day. After breakfast, we headed for our first stop, the Place du Carrousel where you can find the Arc de Triomphe du Carrousel. 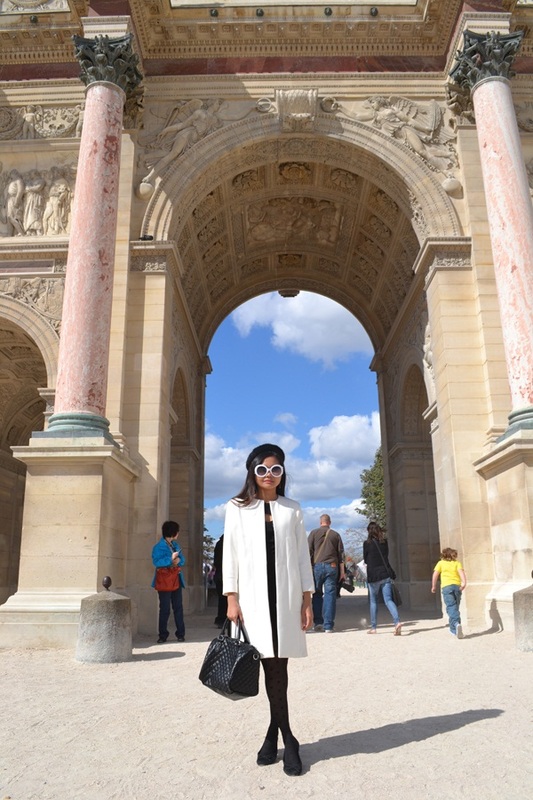 This arch (the one behind me) is located just west of The Musée du Louvre. The above photos were taken inside the Louvre. We were really excited to enter the museum as we are big fans of classical and modern art. We got to see Egyptian antiquities, marble sculptures such as the Venus de Milo and various iconic paintings such as the Mona Lisa. It was delighting to finally see all these wonderful works of art in the flesh. We then proceeded to another museum, the Musée d'Orsay, which houses an extensive collection of impressionist and post-impressionist masterpieces by painters such as Monet, Renoir, Sisley and Van Gogh. Aside from art galleries, there is still so much to see in Paris and you can't help but fall in love with its beautiful architecture, lush parks, topiary trees, magnificent monuments and statues. 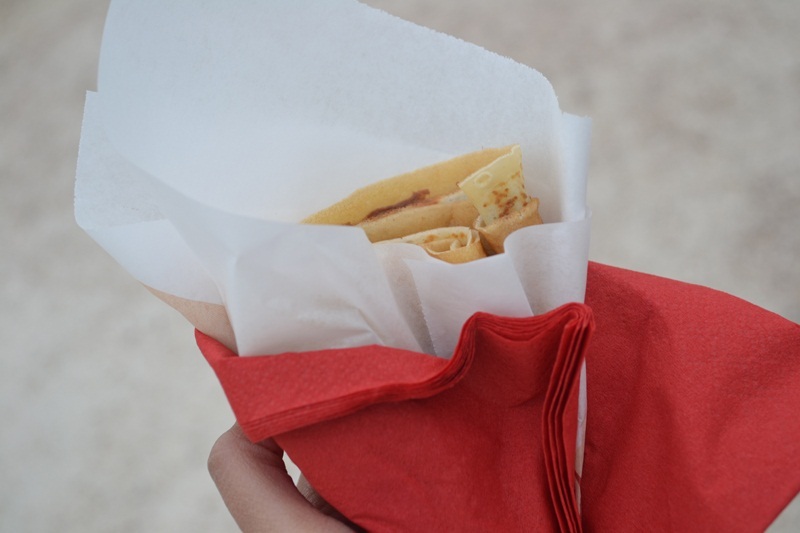 Dotted all over the city are mini food stalls that offer delectable treats such as crêpes, gelato, baguettes, pastries and other baked goods. 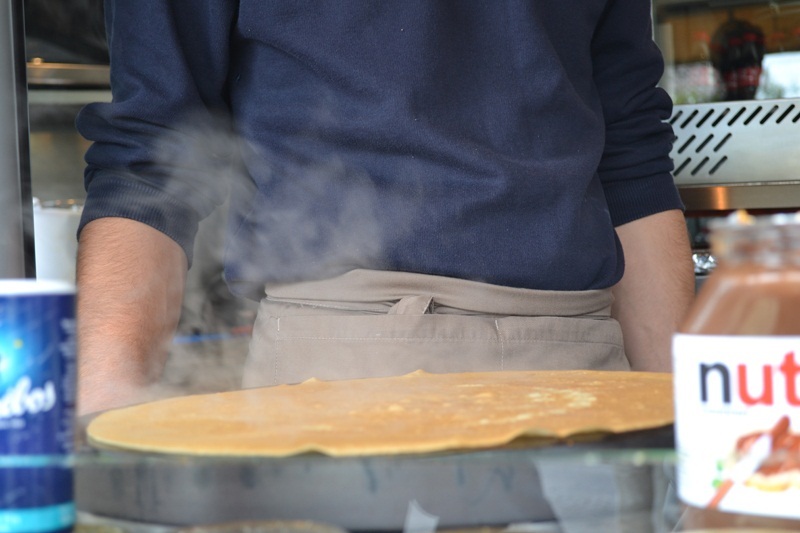 We pigged out on Nutella-filled crêpes and paninis filled with Brie and salami while walking by the Seine. 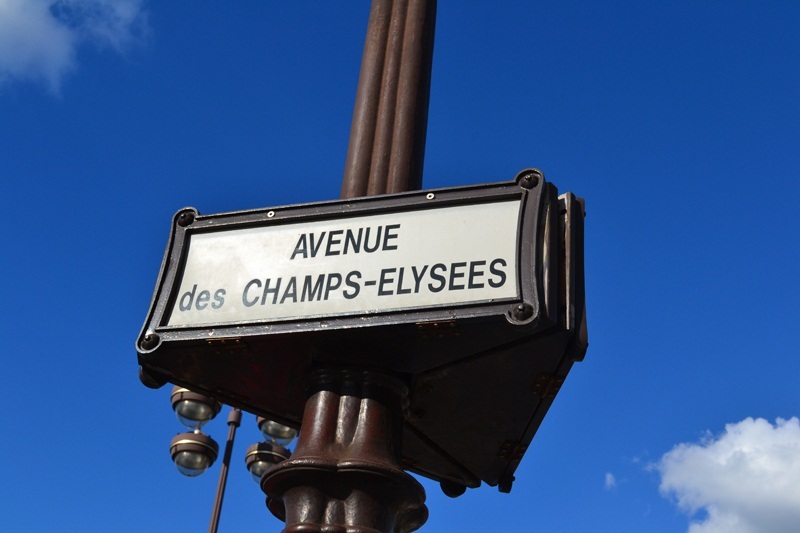 After leaving the Musée d'Orsay, we walked to the Place de la Concorde and went all the way up the Avenue des Champs-Élysées, where you can see a lot of designer and high street shops as well as the famed George V Hotel. We finally arrived at the Arc de Triomphe. 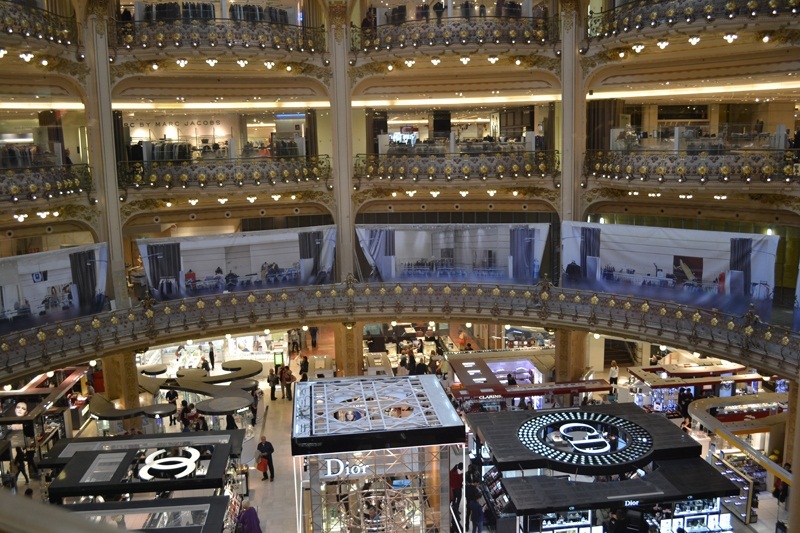 We ended the day with a trip to Galeries Lafayette, the fabulous upmarket French department store, for some retail therapy. Parisian chic indeed! I admit, slightly jealous of your Paris trip. Who wouldn't? Everyone loves to travel and just enjoy. :) Have fun there! i love your pics. what camera and lens are u using for this post? Love your tights and the photos, as always! 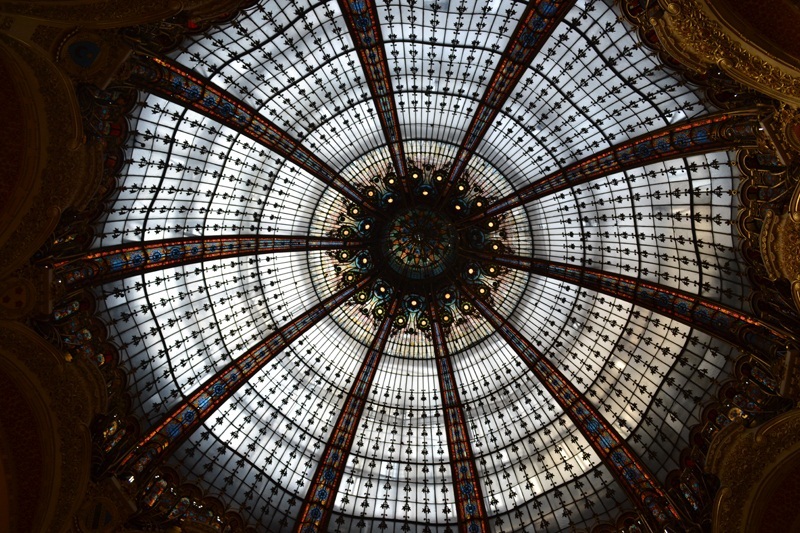 Paris, you're still on my wish list! Amazing coat and blog btw. I have been looking on all websites, because I wants this coat so badly! Do you want to sell yours for a good price??? Amazing outfit and blog btw! I have been looking on all websites, because I wants this coat so badly! Do you want to sell yours for a good price?? ?